A waiter at a Sherbrooke, Que., restaurant was arrested Wednesday for serving salmon to a highly allergic customer in a case one expert says could be a Canadian first. 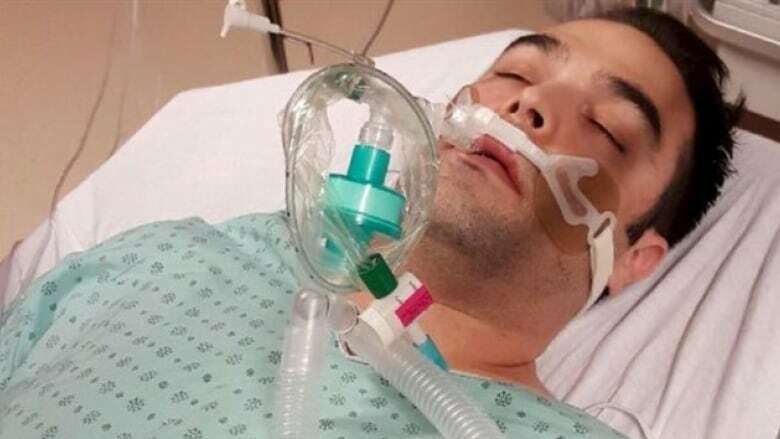 Simon-Pierre Canuel, a resident of Gatineau, Que., filed a formal complaint against the server at Le Tapageur restaurant after he says he nearly died from his meal. The waiter could be charged with criminal negligence. A waiter's mistake endangers a customer's life. Is that a crime? 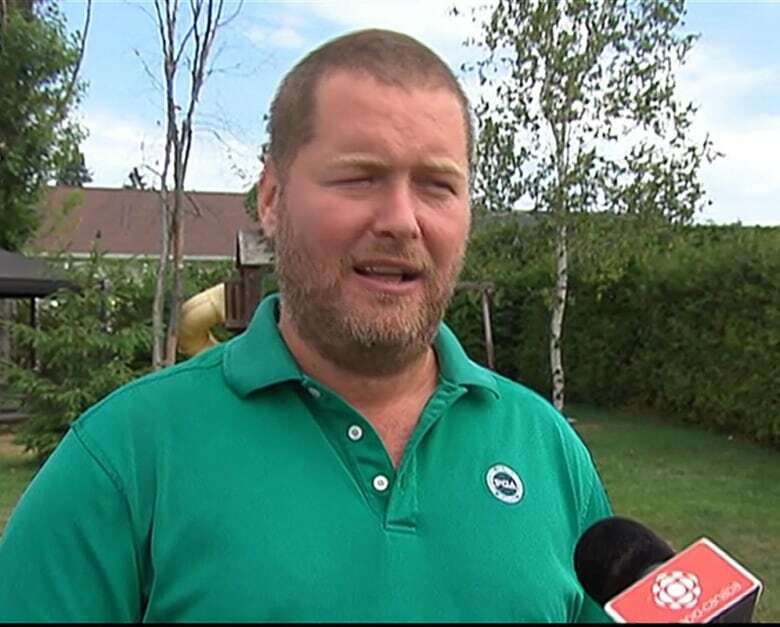 According to the complaint, on May 29, Canuel ordered a beef tartare and alerted the waiter that he was allergic to salmon and seafood, said Sherbrooke police Const. Martin Carrier. "At the time of the order, the waiter took no notes and never went to the kitchen to talk with staff," Carrier said. When the meal arrived, an unsuspecting Canuel took a bite of his food. "With the dim lighting, it's not easy to tell the difference between two dishes, especially if they use mayonnaise. It can be confusing," Canuel said. He soon realized he wasn't eating beef and informed his partner, who is a resident doctor. "He confirmed that it was salmon and he said we had to go to hospital. We told the waiter, who apologized, saying he would bring me beef," Canuel recalled. "That's when I started going into anaphylactic shock and having difficulty breathing." "I almost died," he said. Canuel filed a formal complaint with Sherbrooke police on July 21. Police met with witnesses before arresting the waiter, a 22-year-old man, this week. He was released with a promise to appear in court at a later date. Canuel alleged the waiter didn't inform the cooks of the allergy and instead was chatting, laughing and drinking alcohol with other guests. Though it will be up to Quebec's director of criminal and penal prosecutions to decide whether charges will be laid, Carrier says the circumstances meet the conditions for a criminal negligence charge. Criminal lawyer Simon Roy says a potential criminal negligence case against a waiter would be a first in Canada. (Radio-Canada)Simon Roy, a law professor at the University of Sherbrooke, agrees, and says a conviction for criminal negligence could result in anything from a fine to life in prison. But based on similar cases, he added, the waiter is unlikely to get a prison sentence. Though similar allegations have been made against doctors and workers in other service industries, one crime lawyer says this particular case could be unprecedented in the country. "For a waiter, I haven't found one in Canada. This would indeed be the first time," said Roy. "This kind of story is practically unheard of," echoed Carrier, the police spokesman. Canuel is also considering civil action and a first formal notice has been sent to the restaurant. He said the restaurant never reached out to him following the incident. "I was never contacted. Never," he said. Though he's made it out of the ordeal, Canuel said he's still suffering from the effects of that ill-fated meal. "I'm still afraid at times that I'll fall asleep and never wake up," he said. "I have anxiety attacks. There are times when I have heart palpitations, sweating attacks, etc." The owner of Le Tapageur told Radio-Canada she wouldn't comment on the situation "before speaking to her lawyer."